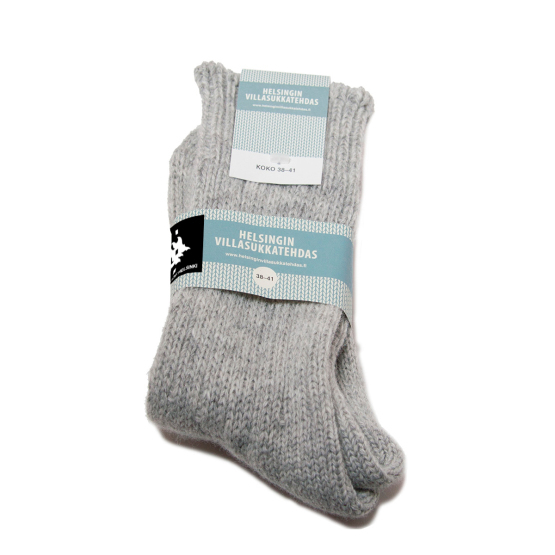 Finnish made wool socks keep your feet warm all year round. The wool is a naturally breathable material. Knitted color is a traditional gray. The toe and the base are reinforced. Materials: 70% pure lambwool and 30% polyamide which significantly increases the socks strength. Washing recommendation: hand wash, but also 30 ° machine wash is suitable for the socks.